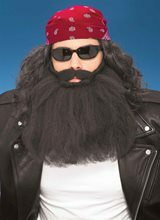 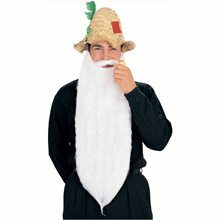 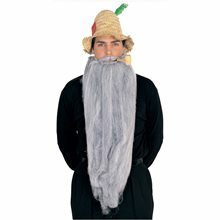 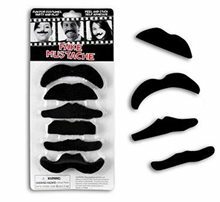 14 Inch Beard And Moustache Black;At 14 inches long this black beard and moustache set can be used to accessorize a variety of costumes. 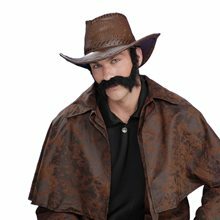 Know when to quit and know when to hold em'! 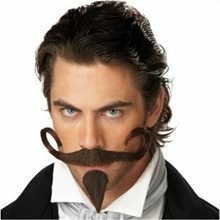 This is The Gambler Moustache and Chin Patch. 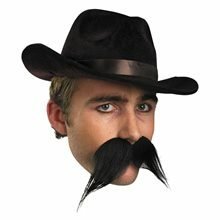 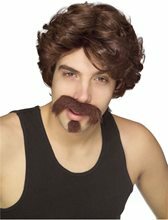 This costume facial hair accessory is the perfect costume addition to your Gambler or Wild, Wild West adult costume. 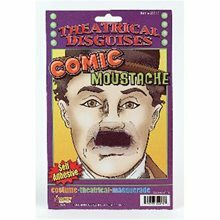 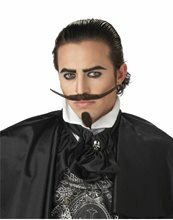 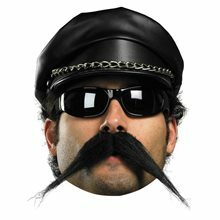 Dandy Moustache with Chin Patch Brown is perfect for any villian.It is one size fits most adults.